Halloween is just around the corner and like many people this year we will be dressing up but with a difference. 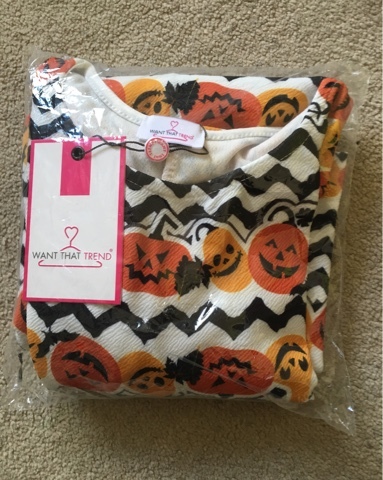 Courtesy of Want That Trend who have released a collection of Halloween swing dresses. 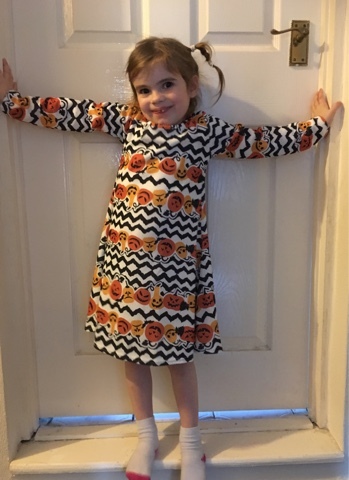 I was lucky enough to be sent a super cute matching mummy and daughter pumpkin Halloween swing dress! The perfect alternative to dressing up. The dresses come in 26 styles, with two of the styles available in children’s sizes from age 0-8. Dresses are priced at just £19.95. The dresses are made of stretchy polyester and elastane which help flatter all body shapes. I’m a size 14 and therefore this dress is a medium/large and I also received a dress for my daughter aged 4. We couldn’t wait to try them on and my daughter absolutely loves her dress! It looks so adorable on her and so much nicer than any fancy dress costume. It fits her perfectly on the length of her arms and around her middle. The swing dress I received is also just as lovely. It is a bit shorter than a dress I would normally wear but I think I would team it up with some black leggings or tights. Again the dress fits really well and is definitely flattering for my shape. I am really hoping that there will be a local Halloween party so I can show off our dresses and I will definitely be wearing this to work on Halloween as well! 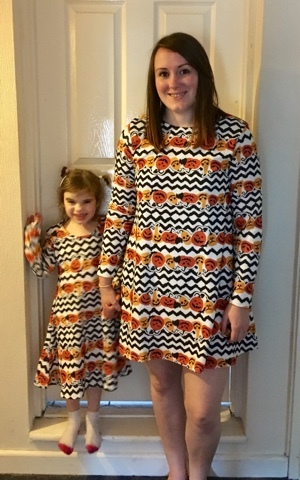 Love these matching mummy and daughter dresses! It really suits you, this style of dress and how cute does your little one look! Happy Halloween!